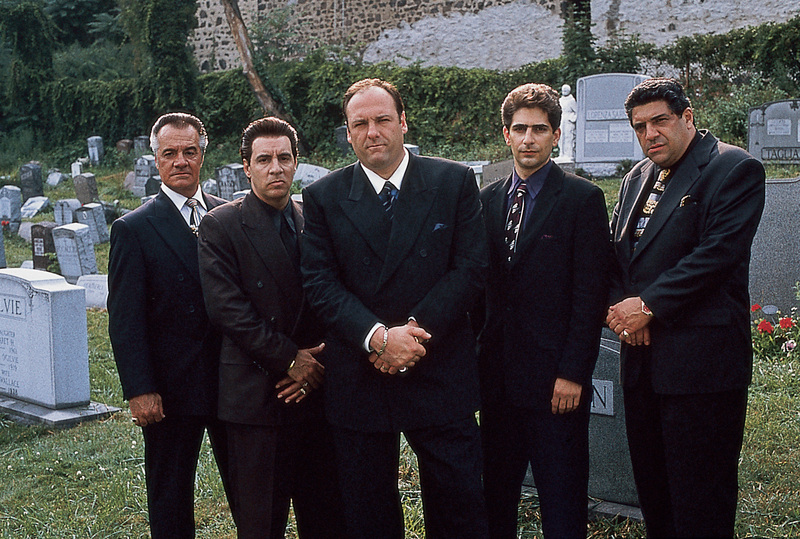 We may not know much about David Chase’s upcoming Sopranos prequel film, The Many Saints of Newark—but the little we do know so far is worth getting excited about. The upcoming movie is set to take place during the 1967 Newark riots and will center on Christopher Moltisanti’s dad, Dickie, but feature plenty of “beloved characters from the series,” Deadline reports. It’s unclear who, exactly, those “beloved characters” might be—but according to a string of new casting announcements, they’ll at least be played by some pretty major talent. On Monday, New Line Cinema announced that Jon Bernthal and Vera Farmiga are joining Alessandro Nivola (who’s playing Dickie) in Many Saints, and now it looks like Billy Magnussen and Corey Stoll are joining the increasingly stacked cast list, Variety reports. New Line still hasn’t announced which roles the four new actors will be taking on, but Bernthal and Farmiga seem like a perfect fit for two major Sopranos characters: Tony’s parents, Johnny Boy and Livia Soprano. Of course, that’s just speculation, but hopefully we’ll get to see Farmiga threatening Tony with a big fork while Bernthal practices his meat slicing in the back of Satriali’s once the movie finally drops. There’s no word on who Magnussen or Stoll might play either, but give Corey Stoll a pair of horn-rimmed glasses and squint a little—could he pass for a young Junior Soprano? Or are they saving that role for a digitally de-aged Larry David? We’re still at a loss as to who, exactly, will wind up playing young Tony in the film, but Chase has promised that the movie will spend at least some of its runtime exploring the future mafia boss and duck enthusiast’s childhood. With the speed that the casting news has been rolling out lately, though, we shouldn’t have to wait long to find out. The Many Saints of Newark will be helmed by Sopranos director Alan Taylor and based on a screenplay co-written by Chase and the film’s producer, Lawrence Konner. It still doesn’t have a release date, but be careful watching it with your significant other, whenever it eventually debuts. ← Why Are Business Schools Still Struggling to Recruit Women?